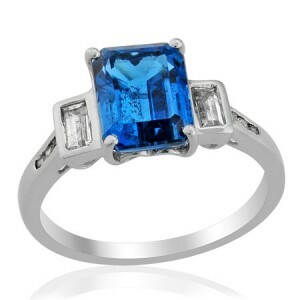 Topaz rings in the glorious shade of London Blue Topaz are often compared with the stunning sapphire rings such as the beautiful sapphire and diamond engagement ring worn by Kate Middleton from Prince William and previously by his mother, Princess Diana in her engagement to Prince Charles. 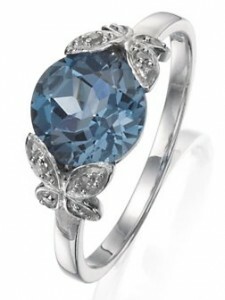 The sensuous deep blue shades of topaz rings are fabulous regal jewellery that can be worn every day. Topaz rings have an understated charm and beauty reminiscent of the cool open ocean flowing with sensuous shades of light blue, mid blue to dark navy. The blue shades within topaz rings are known as Sky Blue Topaz, Swiss Blue Topaz and London Blue Topaz and each carries chic and sophisticated tones that you’ll love to wear every day.